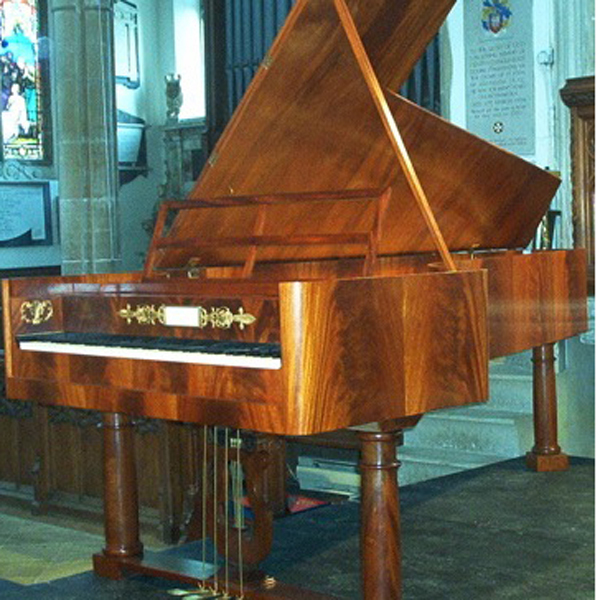 A stunning copy of an 1826 Graf, made in Frome in 2003 by Christopher Barlow. 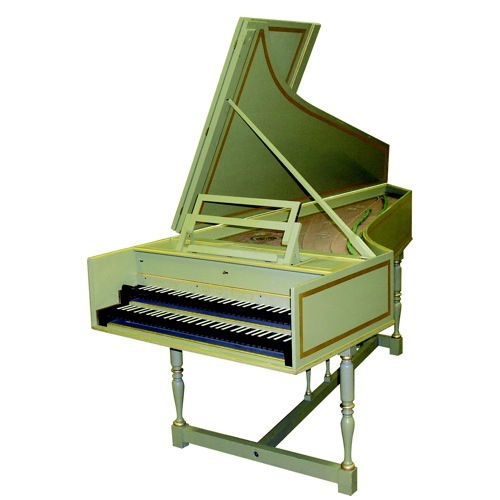 At 8 ft in length this unique collector’s instrument boasts a substantial tone and provides an outstanding insight into authentic performance of the nineteenth century piano repertoire. Available for short-term rental at £250 per day plus transport and tuning as required. Sale price upon application. 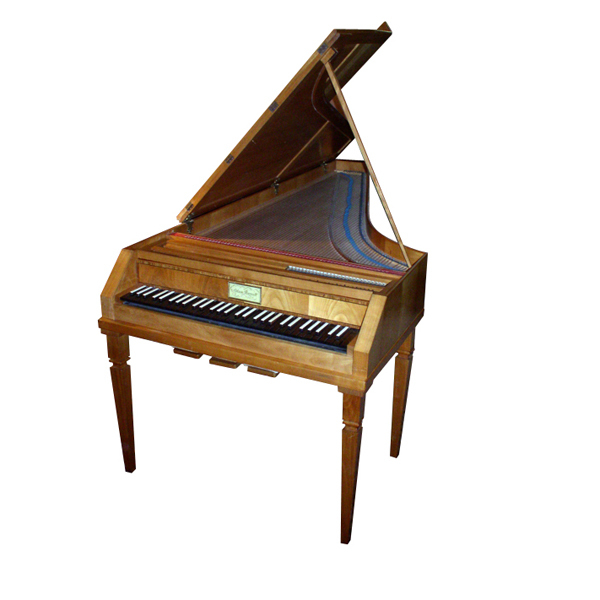 This outstanding reproduction fortepiano represents the culmination of Viennese piano development up to the time of Schubert’s death. 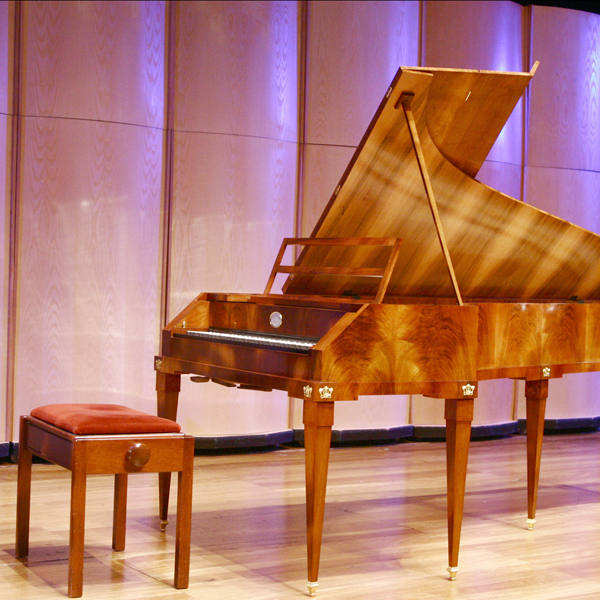 The instrument already boasts a 6.5 octave compass and the tone is markedly fuller and more robust than the smaller 5-octave instruments of the Haydn / Mozart period. The period sound is especially suitable for performing the romantic repertoire of late-Beethoven, Schubert, Schumann, Chopin and even Brahms.